"Relational Dimensions of Focusing-Oriented Psychotherapy"
please click here to register for ONLY the Coordinators Meeting. The theme of this Third International FOT Conference "Relational Dimensions of Focusing-Oriented Psychotherapy", emphasizes that FOT involves, at its core, a genuine, relational engagement between, amongst, and within living beings that changes how we live in relationship. Please join us in celebrating the richness of Focusing as it has been creatively integrated into the diverse way we practice psychotherapy across the globe. At this exciting Third international gathering, we will be learning, reflecting, cross-fertilizing, co-mentoring, and enjoying the company of new and old colleagues. Our pre-conference workshops begin on Wednesday evening, May 14th and continue through Thursday noon, May 15th. The main conference will begin Thursday afternoon, May 15th with afternoon workshops beginning at 1:30PM. Please plan your arrival accordingly. The main conference will offer ten morning study groups that will allow for a more ongoing interactional experience and a more in depth exploration of a particular theme or area of FOT. The study groups begin on Friday morning, and will meet on Saturday and Sunday mornings. You will select one of these morning study groups prior to arriving at the conference. In the afternoons on Thursday, Friday and Saturday, there will be over 40 diverse experiential workshop sessions of 1 hour 45 minutes each, and research or theoretical presentations of 1 hour each. You are free to choose those workshops and presentations on the spot. Some of our morning study group leaders and pre-conference presenters will be offering afternoon workshops as well. On Friday afternoon we will host a Panel discussion focused on our theme. Unique to this FOT conference will be the offering of an OPEN SPACE in one of our evenings – a time set aside to allow participants to share their work in a more informal and more spontaneous way. Every evening will be a chance for more informal connections, including an Opening and Closing ceremony honoring our participants from around the world; a book-signing event for meeting FOT authors; and social gatherings for celebrating our being together. Last conference in 2011 filled to capacity, so please register early to join us for this important fulfilling and fun event that occurs only every two years! We are hard at work preparing an excellent Conference – it is a labor of love. Looking forward to seeing you in May. Introduction to FOT from a Relational Perspective - Leaders: Charlotte Howorth, LCSW and Calliope Callias, Ph.D. Dancing and Navigating" between the Implicit and Explicit Realms in FOT: An innovative approach - Leaders: Atsmaout Perlstein, Ph.D. and Bilha Frolinger, M.A. Two things therapists should know about philosophy - Leader: Rob Parker, Ph.D.
Understanding Focusing-Oriented Parent-Baby Consultation and Therapy - Leader: Zack Boukydis, Ph.D.
Our Range of Resonance: Focusing Oriented Relational Supervision - Susan Rudnick, LCSW and Joan Lavender, Psy.D. 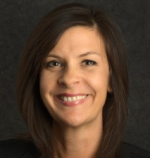 Leaders: Charlotte Howorth, LCSW and Calliope Callias, Ph.D.
Gendlin says "We are interaction with others and a special kind of interaction with ourselves" which are the foundational concepts of focusing. Participants will experience how the carrying forward process occurs both in relation to oneself and to each other. Charlotte Howorth, LCSW has been working in private practice with individuals, couples, families, and groups for the past 20 years. 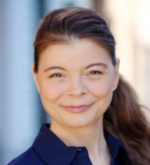 She teaches the two-year certified training program for Focusing Oriented Psychotherapy for The Focusing Institute, and is on the faculty of the Focusing Oriented Relational Psychotherapy program in NYC. Calliope Callias, PhD is a licensed psychologist, and a Certified Focusing Oriented Relational Psychotherapist. She works as a clinician, supervisor, and as a Focusing trainer. She is an Adjunct Clinical Professor of Psychology at the Derner Institute of Adelphi University in NY and a Training Coach for The Focusing Institute of NY. This is a theoretical introduction to Recovery Focusing followed by an experiential workshop on the H.O.W. We Heal Model for group process. We review the principles and functions of the 12 Steps and experience the power of Focusing in Community. Leaders: Atsmaout Perlstein, Ph.D. and Bilha Frolinger, M.A. This preconference day will explore the therapist's challenge to contain the multi-dimensional realms of relationships present in therapy. It will present exercises and experiences to develop a "meta presence" state of being as a therapist to navigate in and out of the implicit and explicit. It will also present new innovative instruments. Bilha Frolinger, M.A. 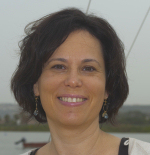 and Atsmaout Perlstein, Ph.D. are coordinators and co-founders of the Israeli Focusing Center. They have been involved in professional development of educational psychologists on a national level. Atsmaout is a clinical psychologist specializing in anxiety and complex trauma. Bilha is a psychotherapist, active in the Trauma Center for Victims of Terror and War. We are all philosophers; only some of us don't know it! In this workshop, we will use Gendlin's Philosophy of the Implicit to understand how and why focusing works, and learn how we can go beyond theories and techniques to understand our clients better and use focusing more effectively. 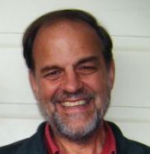 Rob Parker, PhD, is a psychologist and focusing coordinator who has been studying philosophy with Gene Gendlin since 2003, and complex trauma with Shirley Turcotte since 2008. He has published in professional journals, testified as an expert witness in numerous child abuse cases, and has been interviewed twice on national television. This workshop introduces the basics of focusing-oriented work with parents and babies. Central to this work is attention to the felt sense of interactions between parents and babies and learning to listen to and support the parent-baby relationship. The workshop involves demonstration videos, exercises, reflection/integration times, and follow through resources. Zack Boukydis, Ph.D. teaches Focusing-oriented therapy, Focusing Coordinator, Hungarian Focusing Network; wrote Collaborative Consultation with Parents and Infants in the Perinatal Period (Brookes). He is Fullbright Fellow, Visiting Professor in Pediatrics, Semmelweis Medical School, Budapest, Hungary. 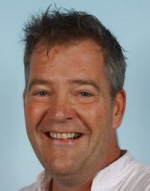 His primary work is developing training programs for professionals working with parents and babies. Through lecture, discussion, and scripted role plays, we will demonstrate how Focusing offers a safe way to help couples mindfully uncover—and then reveal—the ever-deeper layers of their felt experience. As couples notice and express their feelings and longings in a soulful, non-shaming way, a climate for intimacy and love is nurtured. Our group will also explore how elements of Sue Johnson’s Emotionally Focused Therapy can weave with Focusing-oriented work. Annmarie Early, PhD., LMFT is Professor of Counseling in the Master of Arts in Counseling Program at Eastern Mennonite University. She is licensed as a Marital and Family Therapist and is certified as an Emotionally Focused Couples Therapy Trainer and Supervisor. Her work involves utilizing experiential treatment approaches including attachment, implicit processes, and felt sensing. Glenn Fleisch, PhD and Doralee Grindler Katonah, Psy.D., M.Div. We will explore the evocative thinking of Kierkegaard, Heidegger, Merleau Ponty, Levin, and Gendlin and their contributions to a radically different understanding of the body. We will read excerpts from their work and allow these ideas to impact us on a felt sense level through discussion, experiential exercises and case examples. Glenn Fleisch, PhD is a licensed focusing oriented psychotherapist specializing in trauma, addictions and depression. He leads training programs in wholebody focusing and transformational focusing. 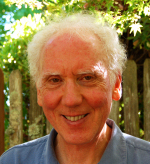 Glenn has written extensively on WBF and therapy, integrating the Process Model with unfolding of body-wisdom- and is adjunct faculty at CIIS and JFK University. 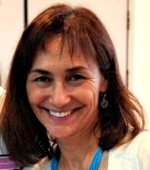 Doralee Grindler Katonah, Psy.D., M.Div. is a licensed focusing-oriented psychologist and Adjunct Faculty at Sofia University, Palo Alto, CA. She was the founding director of The Focusing Institute and is a Certifying Coordinator. She is a practitioner of Zen Buddhism and is interested in how spirit participates in experiencing and transformation. We will explore experientially how Focusing provides a natural gateway to the spiritual, both for client and therapist; how a sacred milieu can be co-created with clients; and how the awareness of our interconnectedness deepens the therapeutic experience and expands the possibilities for healing. Joan Klagsbrun, Ph.D, a practicing psychologist and certifying coordinator, has taught Focusing internationally for over three decades. She also teaches at Lesley University in Cambridge Massachusetts. In her psychotherapy practice, in teaching and in writing, Joan has developed a way to integrate her three passions: Focusing, Spirituality, and Positive Psychology. 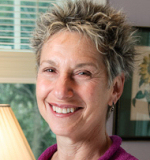 Ruth Rosenblum, LCSW, is a Focusing Coordinator and a faculty member of the Focusing-Oriented Relational Psychotherapy program.She is a certified Mindfulness Meditation teacher and leads both Meditation and Wise Aging programs in New York. 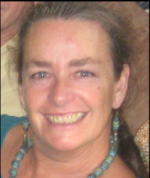 Ruth conducts workshops and trainings on the crossing of Focusing, Spirituality and Relational Psychotherapy. Bala Jaison, Ph.D. and Mary McGuire, Psy.D. Bala Jaison, Ph.D., author of Integrating Experiential and Brief Therapy: How To Do Deep Therapy – Briefly and How To Do Brief Therapy – Deeply, is an internationally recognized workshop leader, psychotherapist for individuals, couples and families, Director of Focusing For Creative Living in Toronto, and Senior Editor of the Folio, the academic journal for the F.I. She and Mary McGuire created the Week-longs together in 1984, team-teaching for many joyful years. 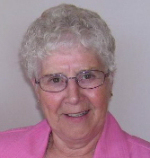 Mary McGuire, Psy.D., is a Sister of St. Joseph and holds a doctorate in Clinical Psychology. She was Director of the Focusing Institute in Chicago for 15 years. During those memorable years she and Bala created and taught the Week-longs for Certification. 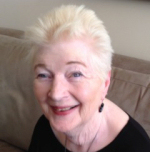 Mary has traveled extensively teaching Focusing and Interactive Focusing with her dear friend Dr. Janet Klein who has left us her legacy: The Interactive Focusing Model for Healthy Relationships. Participants will explore how we are and have always been in connection. The Cycle of Complex Trauma and Recovery Wheel, and ancestral ways of knowing will be introduced as tools in the restoration of attachment and connection. Recovery from complex trauma is viewed through a post-traumatic growth lens. Alexis Phillips, MA, RCC and Shaun Phillips, M.Ed., RCC are a sister and brother team who have been using Focusing-Oriented Therapy for over 25 years. They are both thrivers of early childhood sexual abuse and have specialized training in working with complex trauma. They offer training in Canada, the United States, Israel, Brazil and South Africa. What is going on in the mind of the sunflower as it moves with the sun? In this study group, we explore the mind as a relational process. This experiential approach combines deep immersion in process with opportunities to articulate and consolidate how this applies to our work with clients. Serge Prengel, LMHC, is in private practice in NYC and Editor of the Focusing Conversations. He sees change as a creative process, driven by the depth and immediacy of felt-sense experience. 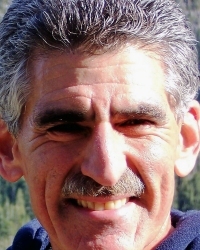 He is certified in Focusing, Core Energetics and Somatic Experiencing, and was deeply influenced by Yvonne Agazarian's systems-oriented approach. Gendlin says that our primary job as therapists is to "be the kind of interaction that will make someone better." What kind of interaction is this and how can we be it?" - We will immerse ourselves in this question and explore the clinical relational skills that enable us to bring ourselves fully into a healing interaction. 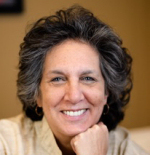 Lynn Preston, MA, MS, LP, a focusing-oriented relational psychotherapist, teacher and supervisor, is the Director of the Experiential Psychotherapy Project in New York City. 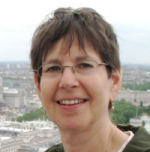 She has written and presented internationally on the integration of focusing and relational psychoanalysis. She has an abiding interest in the exploration of the relationship between philosophy, theory and practice. Susan Rudnick, LCSW and Joan Lavender, Psy.D. Traditional supervision involves bringing issues with clients to an expert. Here, you will participate in a safe, non- hierarchical peer group, experiencing our emerging collaborative wisdom, breathing through deep vulnerabilities, and expanding our ability to resonate with clients. We will share the complexity of how we bring ourselves into our work, and how our work shapes who we are. Whether you are seasoned or beginning, we are all in this together. 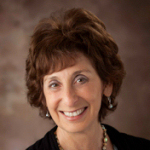 Susan Rudnick, LCSW is a Focusing Oriented Relational Therapist, practicing for over 30 years. With Jude Cobb she initiated the Free Friday Forum, a Focusing Oriented drop in peer supervision group. Her zen mindfulness practice permeates her work. Her most recent publication is “When Words Were Not Enough,” a chapter in Defining Moments for Psychotherapists, edited by Serge Prengel and Lynn Somerstein. Joan Lavender, Psy.D. is a focusing oriented relational psychoanalyst, former dance therapist and Postdoctoral Fellow in psychotherapy research. Her training in Focusing and movement unify her clinical approach. Joan recently published The Phenomenology of the Relational Void: Probabilities and Possibilities, in Loneliness and Longing, Routledge Publishers. Joan sees supervision as an essential nutrient in sustaining oneself as a psychotherapist. guide the next steps you take together ? We'll practice attuning to, and empathizing with, a child's story and deeper needs using art materials and experiential process to connect with and express: our playfulness, creativity and inventiveness. This study group will explore the roles of creative expression and mindfulness with FOT in helping to cultivate self-compassion, increase empathy between therapist and client, and enhance the ability to deeply listen beyond language and cultural differences. Experiential exercises, cases to discuss and application to FOT. 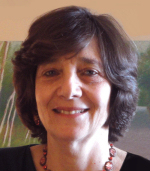 Laury Rappaport, Ph.D. is a Certifying Focusing Coordinator who pioneered the integration of Focusing with the expressive arts. 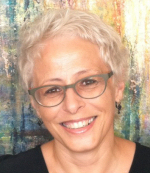 She is the author of Focusing-Oriented Art Therapy, editor of Mindfulness and the Arts Therapies, Founder/Director of the Focusing and Expressive Arts Institute, and faculty of graduate counseling/arts therapies training programs. Each panelist will make a short presentation on the topic listed by their name. Astrid Schillings is a Clinical Psychologist/Psychotherapist and supervisor. She teaches Focusing/Wholebody Focusing to professionals and laypersons internationally and in her Cologne-Centre. 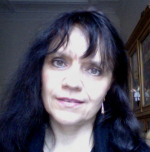 Astrid has been working extensively on the interfaces of experiential phenomenological enquiry, Gendlin`s philosophy and Person Centred perspectives as well as embodied awareness/mindfulness, inner directed movement (Feldenkrais/QiGong/Authentic Movement) and trauma. - a powerful training program for psychotherapists and other professionals. Lynn Preston, MA, MS, LP a focusing oriented psychoanalyst for over thirty years, is the Director of the New York Focusing Oriented Relational Psychotherapy (F.O.R.P.) Program, and Co-Director of the Capetown F.O.T. Training, as well as the New York Training and Research Institute for Self Psychology (T.R.I.S.P) evening program. She has written several articles about focusing and relationality in psychotherapy and has a special interest in experiential teaching and supervision. 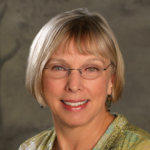 Robin Kappy, LCSW is trained in Focusing, Relational Self-Psychology and EMDR. She is adept at helping people realize their personal needs and a deeper sense of empowerment. Her specialties include anxiety, depression, relationships, sleep, and creativity-related issues. Robin is passionate about the topic of beauty in art and human nature. 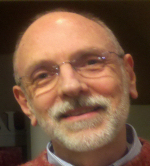 Kevin C. Krycka, PsyD is Professor of Psychology and director of the Existential-Phenomenological Psychology masters program at Seattle University where he has taught sense 1989. He is also a certified FOT and Certifying Coordinator with TFI. 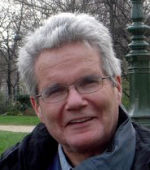 He uses Gendlin's works, particularly his Process Model, to inform research, the training & supervision of therapists, and peacebuilding. FOT Coaching: A Focusing-Oriented Relational Approach - Brenner, Helene G.
The Program will include an evening of Open Space - a time set aside to allow participants (who are not offering any other workshops) to share their work in a more informal and more spontaneous way. Perhaps an inspiration will arise in response to the impact of the conference on your work, your relational worlds, and you become creative ‘on the spot’ and want to offer your ideas and/or exercises to whomever may be interested or resonate with your theme. This could include offering a playful time to unwind or other fun activities. Or, perhaps, you may come to the conference already excited to share something of your work and are ready and prepared to offer this in the Open Space. Similarly, this Open Space is also for those of us who have really developed something, yet are ‘shy’ or ‘uncomfortable making a formal presentation.’ The safety of this Open Space encourages us to share our work in this way. This is how it will work: At the beginning of the conference and until the day of the Open Space, there will be a poster section for people to sign up who want to offer something in the Open Space. Later, the morning of the evening Open Space, interested participants will sign up for the workshop that interests them. Then one of the organizers will assign rooms according to number of sign-ups. There will be plenty of spaces for such offerings, both larger rooms, and cozy corners. It is possible that at that moment there will be no signups for your workshop. Many of us have experienced this. But, even if one person signs up, we will find a space for you. This Open Space will embody ‘Carrying Forward in Relationships’ as we encourage the spontaneous emergence of new ideas through our relational engagements throughout the conference. Together we will create inclusive, relational exchanges that will be nurturing and expanding for all of us. Paid-up members: $350. If your 2014 dues are unpaid, they will be charged when the order is processed. The Gilmor Sloane house is a renovated 1856 Victorian Mansion - each room has a private bath. There is one half of a double room available in Gilmor Sloane house for a male participant. Costs: 3 nights $570, 4 nights $760. For those Coordinators who are attending the Coordinators Meeting beginning Sunday, May 18, 2014 through Wednesday May 21, 2014, if you are attending the Focusing-Oriented Psychotherapies Conference, please complete the registration on this page. After placing the order for the Conference, please click here to register for the Coordinators Meeting. Would you like to make an additional donation to support a participant who does not have the resources? If you want to make a donation, you can enter the donation amount on the following page after you click the 'Confirm Selection"
Stony Point Center is nestled in the Lower Hudson River Valley, between New York City and West Point (about 1 hour north of NYC). 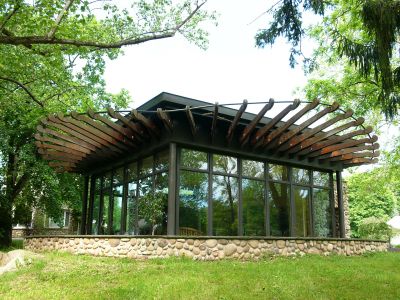 Transportation to and from Stony Point Center should be arranged directly with Stony Point. Click this link to visit the Stony Point website. For directions and transportation information please click here. The Focusing Institute is approved by the American Psychological Association to sponsor continuing education for psychologists. The Focusing Institute maintains responsibility for this program and its content. CE's awarded participants: 4.5 CE hours for Pre-conference Workshops fully attended and 6.75 CE hours for Morning Study Groups full attended. NASW: This program has been approved by NASW-New York State for 25 contact hours under approval number S-538-A. Note to Last Minute Registrants: Your registration is welcome! Please be aware that the programs have now gone to print and your name will not appear on the participants list. $150 administrative fee for cancellation. After April 15, 2014, all fees are nonrefundable except in unavoidable emergency. PLEASE SELECT AN OPTION FROM EACH CATEGORY BELOW! Any unselected option category will prevent the order from being placed.